Máme nový sportovní tým! Nasi briardi jsou vsestranní sportovci! Hannibal is now becoming a sports star. Last weekend Hannibal and me qualified for the worldchampionship in bikejöring. Hanni is going in front of me on a leash and I am on a Mountainbike. We have to race so fast as possible the 3,1 km. The worldchampionship is in germany, so we hope to be good there. We qualified on 4th place. See the pic. I will inform you how we will end. We will train now a lot. Til this weekend we did nothing. But everyone was telling me that Hanni was running quite well. Normally people are "using" Siberian and Alaskan Huskys or Scandinavian Hounds. 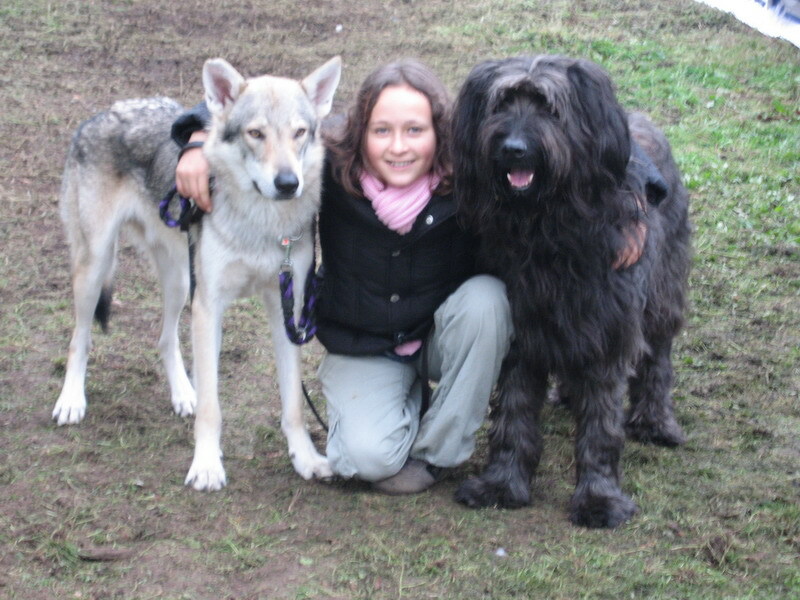 They were really looking that a Briard good go so fast in this difficult track with ups and downs and sometimes very slippery in the woods. The track will be even longer, 4,5 km and second run 6,5 km on the next day. The championship is on 2nd and 3rd of december www.wm-rastede.de. 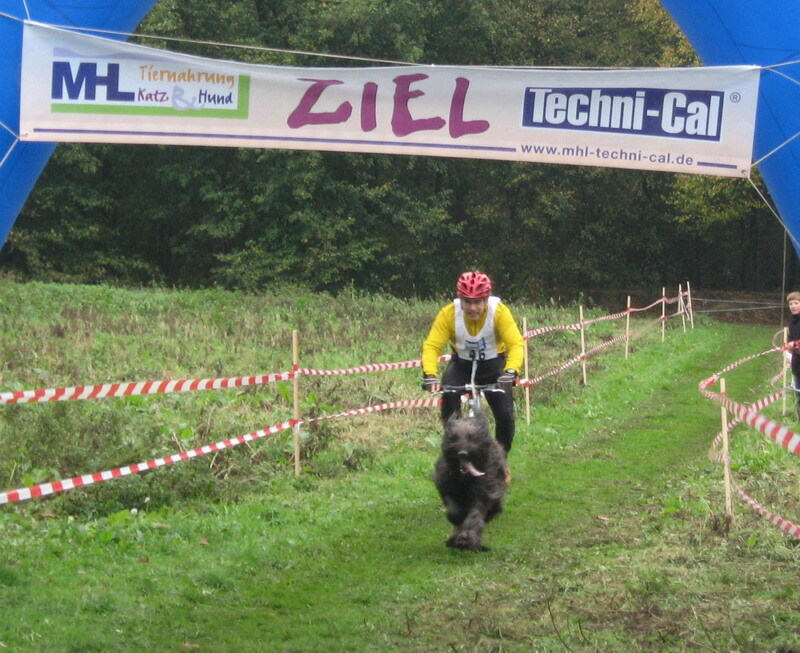 Further information you got on www.canicross-bike.de.